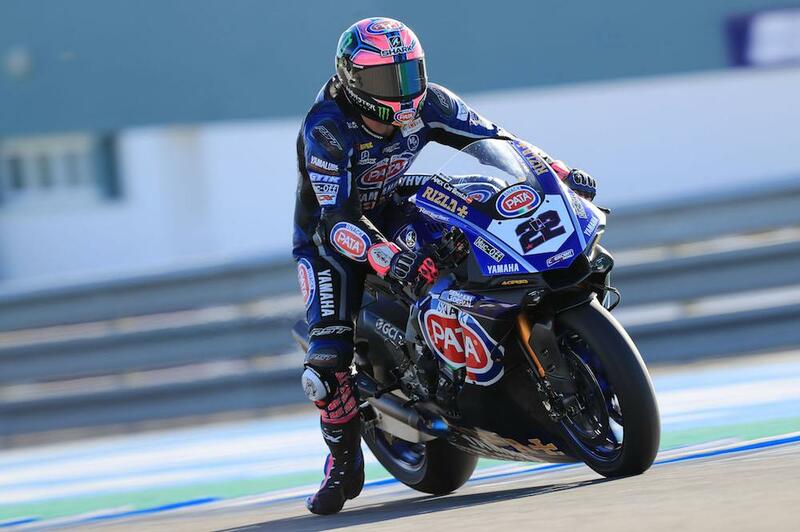 Alex Lowes has said he feels like Yamaha made a step forward with the YZF-R1 during this week’s Jerez test, something the Brit says will be essential if they are to continue the improvement seen last year. The PATA Yamaha squad made clear progress in 2018 with both riders regularly challenging for the rostrum and both riders clinched their alusive first WorldSBK victories, but Lowes has warned that they need to keep moving forwards if they are to continue challenging at the front given the new machinery introduced by Ducati and Kawasaki for the upcoming season. “Every year the goalposts move,” Lowes said. “Obviously Kawasaki were in front of us anyway but Ducati have come straight in with a new bike and are stepping in front, so we have to try and improve the bike somehow! “We need to improve our electronics so that’s one of the areas I focused on during the test, then we have a new swing arm as we need to work on corner exit as that’s where we are losing the time. Lowes finished the test second quickest overall, just 0.6 seconds behind four-time champion Jonathan Rea, making significant progress on the second day after trying the new swing arm from Yamaha. “The new swingarm is a step in the right direction for corner exit, but initially I couldn’t enter the corner as well as I wanted. Once we tuned the bike and changed the geometry to suit the new swingarm we were able to get the same performance as the old one and there’s some more predictability on the exit of the corner. We still need to work on improving the corner exit and keeping the front wheel down because we didn't improve that today. However, while the new swing arm was a step in the right direction, there was just one part available for the four Yamaha riders on the grid, with the GRT team stepping up with Marco Melandri and Sandro Cortese in a second supported Yamaha effort for 2019. With this, Lowes has warned that the level of support needs to remain the same if Yamaha expect to be fighting at the front.